King of Digital marketing “KDM” presents to you best way of directory Submission.In my previous post, I shared a trick to make strong link building that never falls. Ranking on Google and said to discuss about an amazing tip to build do follow backlinks to improve SERP position. Post Penguin Update, there are many ways you can follow to get quality backlinks for your blog like blog commenting, guest posting, social bookmarking etc. Except these, you can also do Directory Submission to gain quality dofollow backlinks. Using Directory Submission post penguin comes under the safest way to increase link building popularity of blog. Many newbie bloggers find it difficult to understand how to do directory submission for SEO. That’s why today I bring a tutorial to help all those bloggers so that they can learn about directory submission process. But before starting the process, let’s discuss something about web directories and their benefits for SEO. How to do Directory Submission for SEO? Doing Directory Submission is not so tough job. Only you have to do is follow below steps one by one. 1. Go to this Directory Submission Sites List. 2. Open any site to start doing submission for example Jayde.com. 3. Choose relevant category for your blog according to your blog niche. 4. There are many sub-categories also. So, go in deep as much as possible. 5. Once you find the most appropriate category for your blog, click on Submit Your Site link at the top right corner. 6. A form will appear to fill. Fill all the details and information about your site likeTitle, Description, your Email ID etc and submit the form. While making submissions to the Open Directory, ensure not to submit mirror sites. Stay away from the techniques of double submission and also, avoid presenting a site with an address that redirects to another address. Totally avoid submitting websites that are under construction. Strictly follow the policy while making submissions of adult and illegal content. Main directories are very specific about their submissions. As for instance a UK-based site must be submitted to the desired regional category. 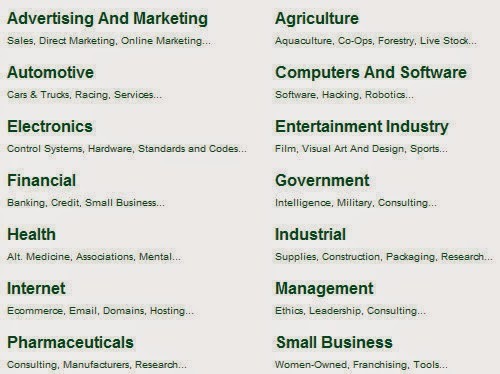 Similarly, websites that are commercial must make submissions to the Business and Economy category. Thanks for sharing. Learning with Attrait Solutions would also help trainees to get job after the training based on the performance during and feedback after the training.Learn seo in pune from Attrait Solutions which is the best Seo training institute in pune. Useful post, thanks for sharing this page.